"See below for all 32 tracks available to play in Forza Motorsport 7." Drag racing tracks? 1/4 mile at Dubai, Hockenheimring, Sonoma; Test Track: 1/4, 1/2, and 1 mile, 2 and 8 lane. Test track environment? Disc users may have to download a content update to use this environment.^ FM7 uses the same Airport environment as in FM5 and FM6. Only the Full circuit is available under Free Play (along with Drag strips when type is set to Drag). The My Drivatar menu under the Progress tab shows "Airfield Open Space", "Airport Terminal", "Airfield Hangars", and "Airfield Cargo" - these are not available in Free Play; they can be accessed in Multiplayer by setting game type to Tag. There’s no such thing as a simple “rain” setting in Forza Motorsport 7. Not for Sebring or the Nürburgring, or Brands Hatch, or any other track where wet conditions are available. Instead, the team has created a system that can smoothly transition through multiple weather conditions per track, and those conditions can (and often will) change throughout a race. You might start off with gray skies and fog on a track like Sebring, only to find yourself in the middle of a thunderstorm two laps later. The lights might go green at Silverstone during a light rain, only to find drivers in dry conditions by the end of Lap 2. As in the real world, conditions change and sometimes change quickly, and its up to drivers to react to those changes. Those dynamic conditions extend to time of day too. Turn 10 is building on the sky technology that was first seen in Forza Horizon 3, capturing real skies that bring life, motion, and color to every track in the game. Check out the screenshot of the observation tower at the Circuit of the Americas against a darkening sky – one glance is all it takes to recognize a Texas sky at dusk. Even Laguna Seca – a track that has been in Forza Motorsport since the very first game; a track that all of us have driven hundreds, if not thousands of laps on – feels completely new in Forza Motorsport 7. Whether you’re talking time of day or the weather you’re driving in, it all comes back to thatcentral goal: every race should feel unique. When you’re playing through the Forza Driver’s Cup single player campaign, you’ll experience that first-hand. Take a race at a track like Silverstone as an example. Maybe the first time you play it, you’ll battle the elements in a typical British downpour. Go back and revisit that same race in campaign, your conditions may be completely different; in fact, you may not encounter rain at all. The developers at Turn 10 have introduced probability into the various race conditions scenarios; meaning that there is a percentage chance that the weather conditions might (or might not) change. One race, things will go from bad to worse; the next time around, conditions might stay in your favor. It’s that element of chance – and the need to prepare for whatever the race throws at you – that promises to make racing in Forza Motorsport 7 so exciting. Drag racing tracks are available in Free Play after changing the Game Type in Race Settings. At launch there were no track/class Rivals. Leaderboards for a track and current class can be seen after completing a race. Test Drive is available in Free Play by selecting Go to Race and then Setup to choose Test Drive. There are 122 circuits (including Test Track, and Reverse layouts) that provide 197 ribbons when Night and Rain variants are added, and 9 drag strips. Alps is a fictionalized location based in Switzerland. Brands Hatch is a real track in the UK used by BTCC and Blancpain GT racing. Barcelona-Catalunya is a real track in Spain used by F1, Blancpain, endurance GT racing, and WRC. COTA is a real track in Texas used by F1, WEC, IMSA, PWC, endurance GT racing, and has been used for V8 Supercars. Daytona is a real track in Florida primarily known for NASCAR but also used by IMSA for its 24-hour season opener. Featured announcement at E3.^ Dubai is a fictionalized track set in the UAE, featuring the Jebel Hafeet road and city center. (The real Dubai Autodrome is not included). Hockenheim is a real track in Germany used by F1, DTM, and WRC. Homestead is a real track in Florida used by NASCAR. Indy is a real track in Indiana primarily known for IndyCar but is also used by NASCAR. Le Mans is a real street circuit in France famous for its 24-hour multiclass race every June in the WEC calendar. The ACO created an official endurance eSports category in 2017 for the Forza Racing Championship. The Mulsanne Straight offers the fastest top speed opportunities in the game. Ribbons: Full (chicanes), Bugatti Circuit, Old Mulsanne (no chicanes), each with Day/Night/Rain. Lime Rock is a real track in Connecticut, used by IMSA and PWC. At just 1.5 miles long, this is the shortest full course in the game. Long Beach is a real city street circuit in California used by IndyCar, IMSA, and PWC. The Long Beach West ribbon (0.45 miles long) is the shortest course in FM6. Laguna Seca is a real track in California used by IMSA, PWC, and endurance GT racing. Monza is a real track in Italy used by F1, WTCC, and Blancpain GT racing. Featured in the E3 Demo.^ Mugello is a real track in Italy used by F1 for testing and for GT racing. It's Forza debut was in FM2 but was last seen in FM4. It "has been completely rebuilt for Forza Motorsport 7." Featured in the E3 demo.^ The Nurburgring is a real street circuit in Germany used by WEC, Blancpain, DTM, and for post-war F1. At over 16 miles for the combined circuit it is the longest course in the game. The Ring was remastered for FM5, which took over 13,000 man hours to complete. Prague is a fictionalized city street circuit set in the Czech Republic. Rio is a fictionalized city street circuit set in Brazil (different from the layout in FM1). Road America is a real track in Wisconsin used by IndyCar, IMSA, and PWC. Road Atlanta is a real track in Georgia used by IMSA to close each season ("Petit Le Mans"). Sebring is a real track in Florida used by IMSA. Silverstone is a real track in the UK used by F1, WEC, Blancpain, BTCC, and GT racing. Sonoma is a real track in California used by IndyCar, NASCAR, and PWC. Spa is a real track in Belgium used by F1, WEC, Blancpain, and endurance GT racing. The My Drivatar menu under the Progress tab shows "Airfield Open Space", "Airport Terminal", "Airfield Hangars", and "Airfield Cargo" - these are not available in Free Play; they can be accessed in Multiplayer by setting game type to Tag. Top gear is a real track in the UK used by The Stig and hosts for benchmarking. VIR is a real track in Virginia used by IMSA and PWC. Watkins Glen is a real track in New York state used by IndyCar, NASCAR, and IMSA. Yas Marina is a real track in Abu Dhabi (UAE) used by F1. These are the circuit ribbons used by solo and multiplayer events, with light/weather variations and Distance in miles. Drag strips are available in Free Play by changing the game mode to Drag. Thanks for maintaining these quick reference threads, Max. Stoked to have Mugello back! I so hope the all Japanese tracks from FM4 and Hockenheim are back. AMD 2700X, Nvidia GTX 1080, 32gb DDR4 3400, Asus ROG Crosshair VII Hero, Samsung 950 Pro, Samsung 850 Evo. https://youtu.be/TKlDO5ZEdXw says "over 30" and just 30 would be a serious disappointment as we were already at 28 in 6, and that would mean we were losing tracks again. I know this happened between 4 and 5 in a big way, but adding tracks is far more interesting than adding cars, and removing tracks might actually detract from the product's appeal, especially if the fantasy ones were targets, because the likes of Prague and Bernese Alps are among the most fun in the game. And the latter would be a great target for adding in snow based on the model of Horizon 3! If there are only going to be a few new tracks, this one might not be a buy, even with 4k. They have also said Maple Valley is returning, so if they don't remove any tracks, we're already at 31. Edit: Also the configurations statistic is a pretty artificial one, given that 6 uses one for each weather change as well. With dynamic weather and time, I would hope that these are just rolled into the settings rather than being considered "configurations". It would also be good to see more tracks with weather options. I miss the FM3 test track with all it's iterations for beginner racing. all those kinks and tight bits were great on 200-300 pp cars. and honestly, the game really shines on the slow cars. 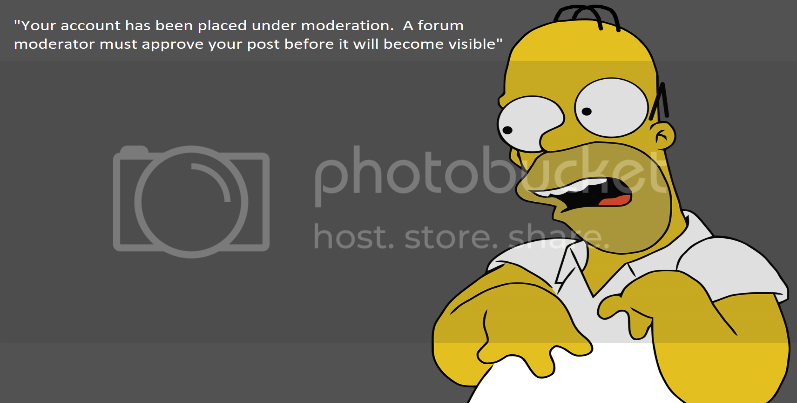 10 users liked this post. 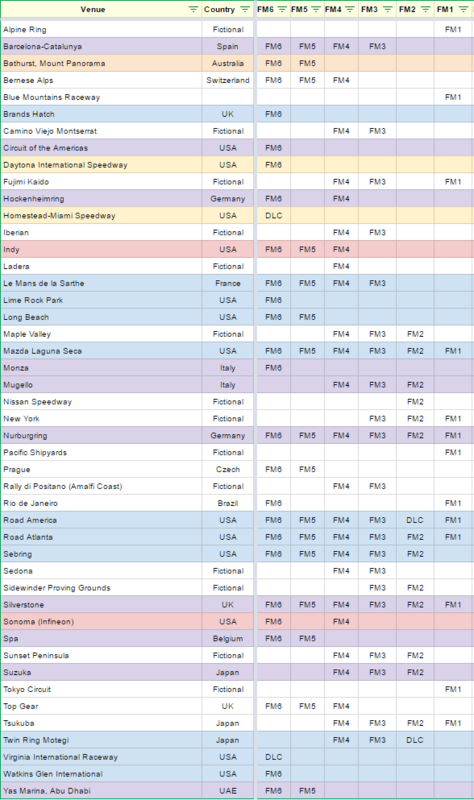 FM6 had 26 at launch (including Test Track Airfield) plus VIR and Homestead-Miami added later as DLC. The colors I use are just to group tracks often associated with F1, IndyCar, NASCAR, and GT/LM/TC formats. Cool chart. Oh yeah, Sedona. Quite enjoyed that playing 3 recently! The fates of various tracks have been quite interesting based on that info. My other hope is that they stop tying tracks to DLC, because those tracks just don't get nearly as much play! https://youtu.be/Dokpy_KIuyA?t=54 Clearly shows that it is Brands Hatch, So that one is confirmed as well. https://youtu.be/Dokpy_KIuyA?t=74 Clearly shows it is Sebring, so we can add it to the confirmed tracks too. There's a photo of an old Alfa on the Oval at Indy. I think we can assume that one is in still. Man, the swiftness and looseness with which they are dropping info is crazy. We need a coordinated effort to ask Dan about tracks on Twitter if he is going to keep confirming specific things people ask about. It's pretty sweet lol. Good to hear that more tracks are returning. While people say new tracks are better, having the whole collection in 4k will also go down pretty well I reckon :). Someone needs to ask about a Forza Edition XBX. I was kind of surprised they weren't launching together with a special one announced! Oh sweet baby Jesus. This is great news. just keeps getting better and better!! I am super excited about Mugello Autodromo Internazionale, I have been wishlisting that since FM5, great to know it gets attention! Related, can anyone advise, perhaps ManteoMax, I played FM4 first, was my first time getting my feet wet in FM series, I went back and played FM3 after. I remember Amalfi Coast , had a circuit around the coast and slightly above for FM4, FM3 had the same but a longer thru-out the hillside, Rally di Positano perhaps? Trying to match that up on MM's list of tracks by series up above. Rally di Positano was the layout that looked like a plate of spaghetti. One of my absolute favourite tracks. Man I LOVE hearing that Suzuka and Mugello will be in Forza 7!! Bill Giese was on Xbox Daily: Live @ E3 a short while ago and again said "over 30 environments." However, he talk leak the revival of Maple Valley and Suzuka. I think that he wants to talk about other courses and he will not be able to endure it. 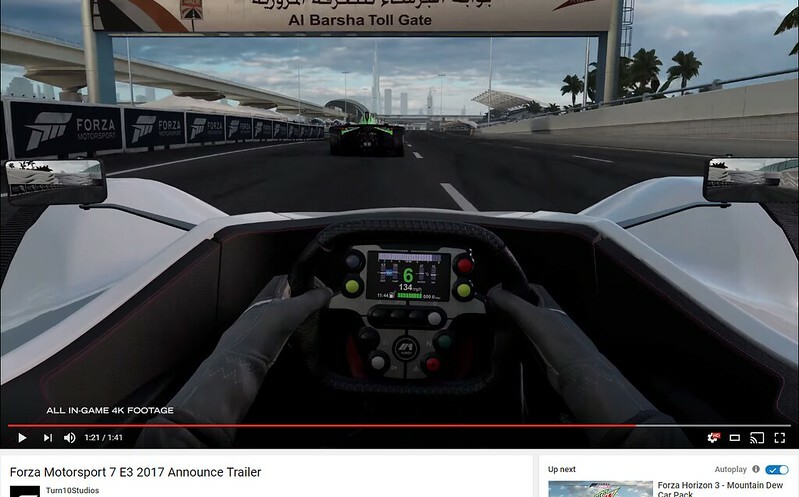 Caught some footage from IGN and unfortunately it doesn't look like we'll be getting the actual Jebel Hafeet mountain road, more like a small snippet of it integrated into the Dubai track as a whole. Still very interesting, but dissapointing if thats really all we get, was looking forward to a proper mountain pass.